NEW: The Our Outer Harbor Coalition has nominated Port Terminal/A Ford Motor Assembly Plant to Local Landmark status. Read the application here. 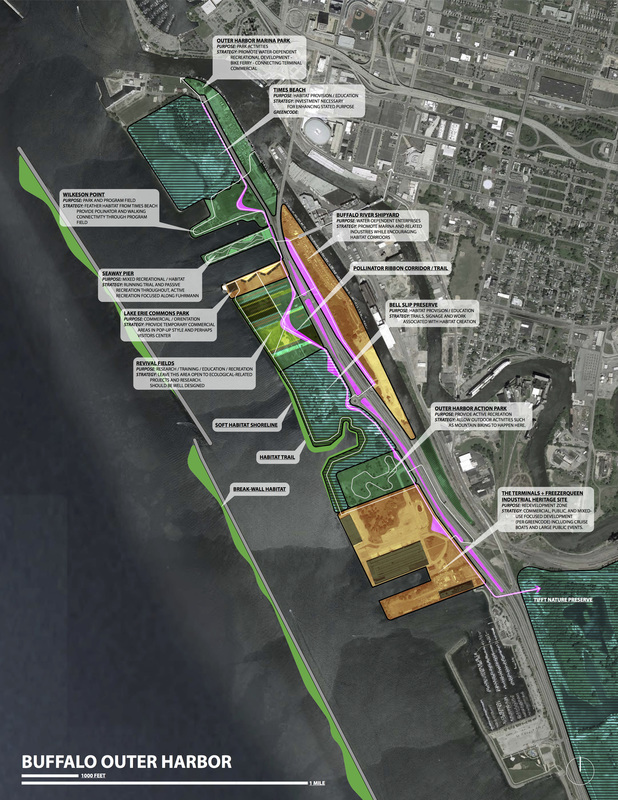 Public Comments for the Erie Canal Harbor Development Corporation's most recent roll-out of planning for Buffalo's Outer Harbor were due on December 23, 2018. 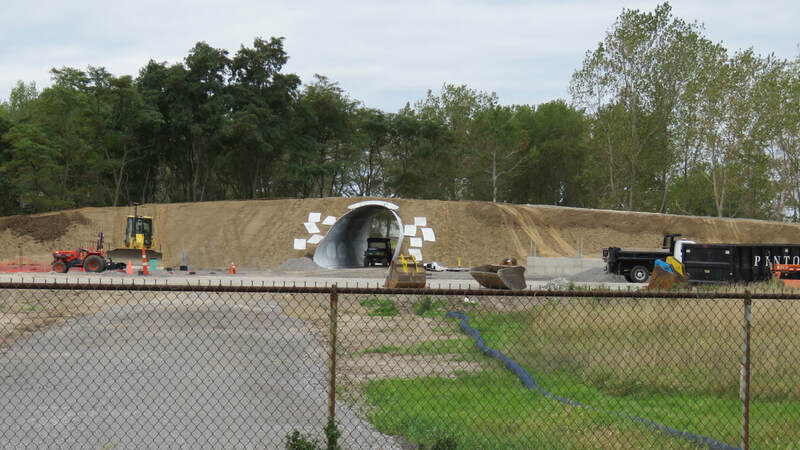 For a link to the ECHDC survey, and the comments from the Our Outer Harbor Coalition and some of our members, CLICK HERE. -Private parcels on OH should be purchased by public agencies to ensure public uses. -Use what would be tax credits / incentives to cover costs; OOH should identify the private parcels and formally ask that they be acquired. -In addition to private lands, some public lands are inappropriately zoned now to include housing; need to change zoning. 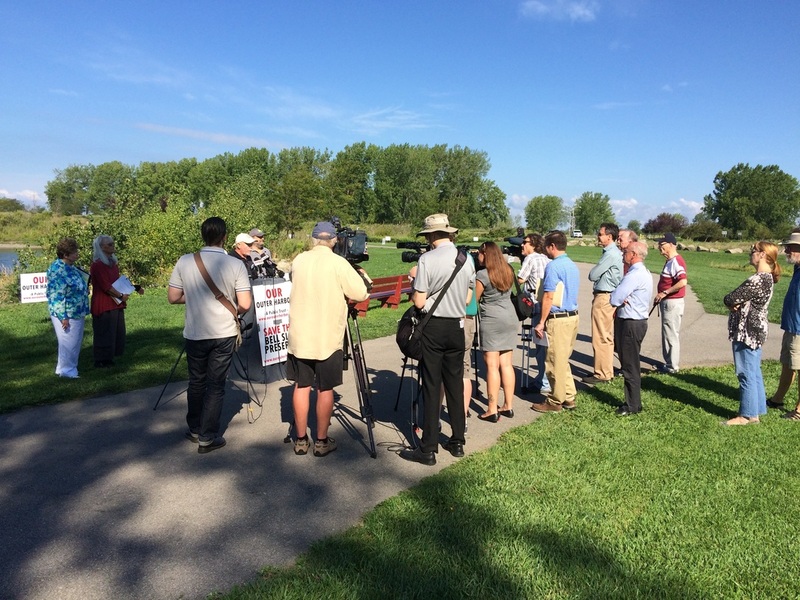 -How will investment in LaSalle Park impact the vision for the Outer Harbor? -Ferry should run through September. 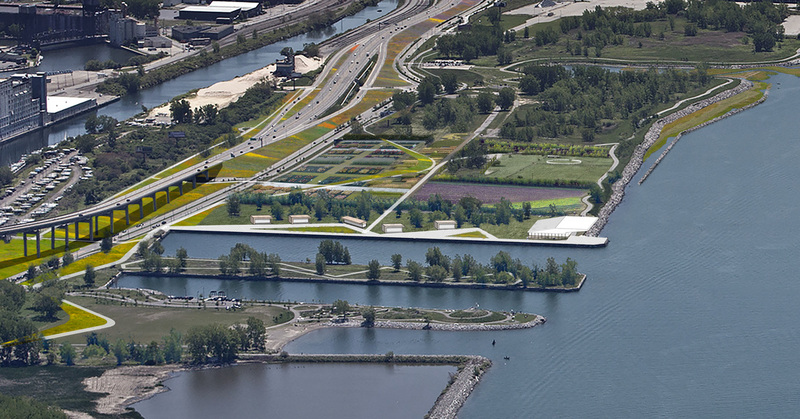 -Milwaukee as a model of how our waterfront will be? We will have updates, presentations, and an opportunity to talk about the progress of the Our Outer Harbor Coalitions work with our partners. 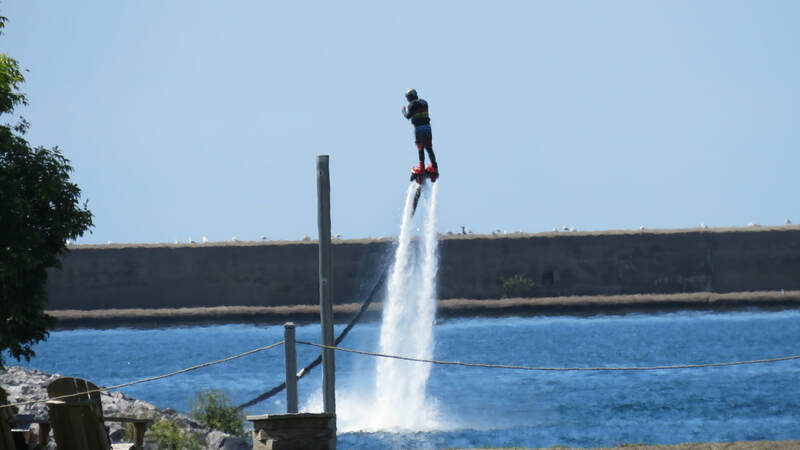 ​This year, we are pleased to announce that The Our Outer Harbor Coalition has been working positively with the Erie Canal Harbor Development Corporation (ECHDC). This state agency is owner of much of the public lands of the Outer Harbor. 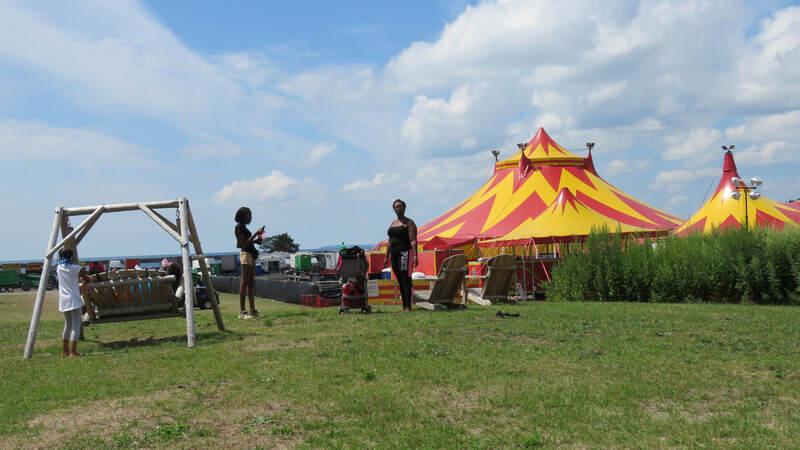 ​Our advocacy has been focused on creating great public spaces, engaging the public, and advocating for keeping public places public, passive recreation, and respecting the environment. On November 19, 2018, the ECHDC will hold a pubic meeting to reveal what to expect next on Outer Harbor.planning and development. The October 29 meeting hosted by the Our Outer Harbor Coalition is designed to help inform our community about the ECHDC, its agenda and plans, and helping us all to be prepared for the November 19 ECHDC meeting. 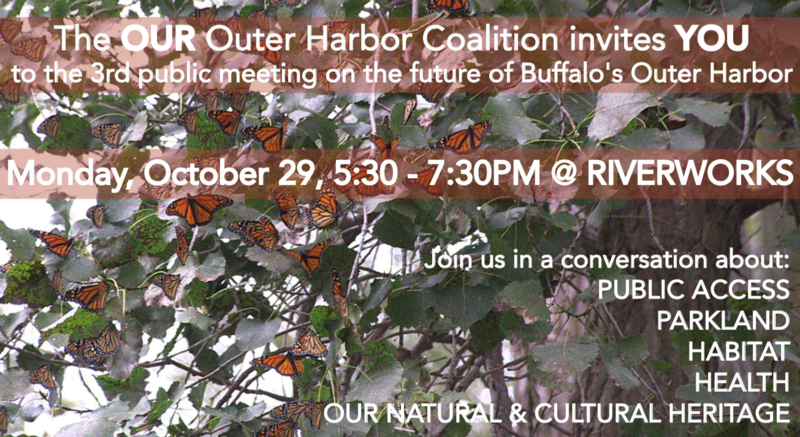 Monday October 29, 2019-The Our Outer Harbor Coalition will be holding it’s fourth public meeting since 2016, from 5:30 pm until 7:30 pm at Buffalo Riverworks, 359 Ganson Street, Buffalo. The meeting is designed to help inform the public regards progress on Outer Harbor development strategies and to inform the community about the upcoming Erie Canal Harbor Development Corporation (ECHDC) Public Meeting scheduled for November 19, 2018 at a time and place to be announced. Tonight’s Our Outer Harbor meeting will include speakers and a question and answer period. The meeting is free and open to the public. We anticipate up to 200 people at this event. 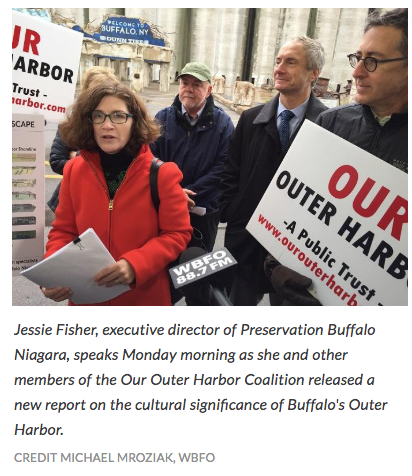 -The Our Outer Harbor Coalition will hold a press conference at 10 am TODAY October 29, 2018 at Buffalo Riverworks, 359 Ganson Street, Buffalo, NY The Press Conference will announce the completion and release of an extensive report that it commissioned regarding the cultural significance of the Outer Harbor. 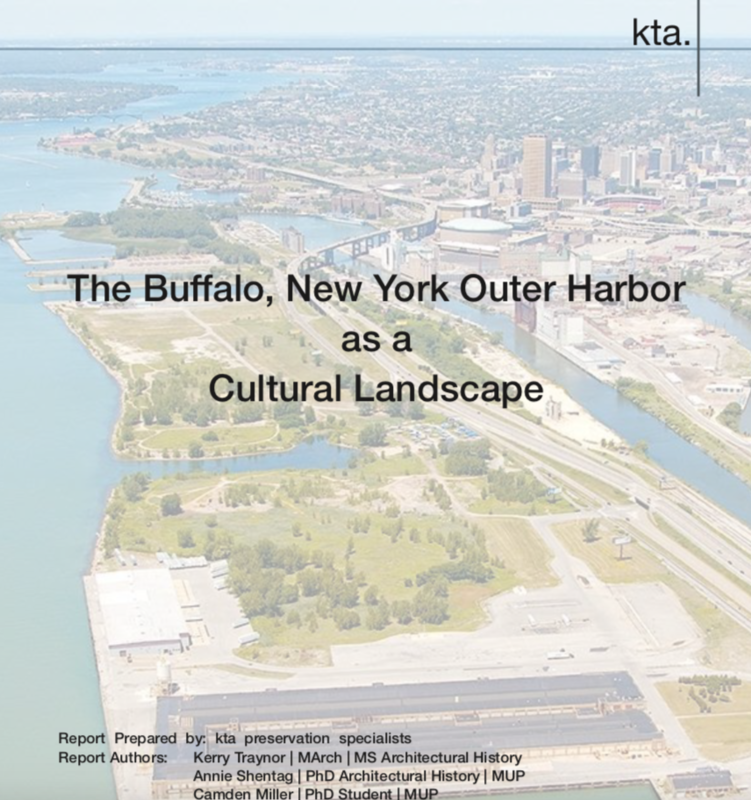 The report titled The Buffalo New York Outer Harbor as a Cultural Landscape has been completed by kta preservation specialists. 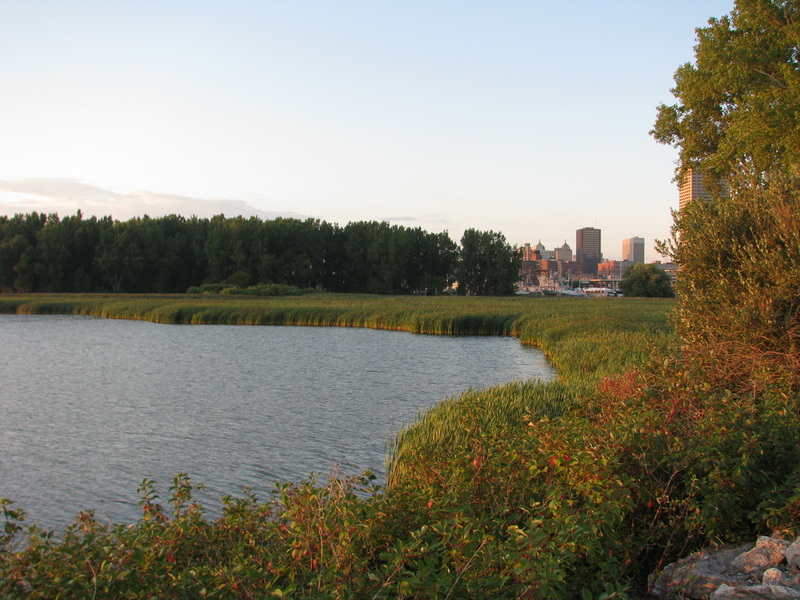 It details and creates an overview of how the Buffalo Outer Harbor region, once a pristine wetland area, has been developed and used by people, including industry, commerce, recreation, and shoreline modification. The media is encouraged to attend both events. A complete Press Release regarding the Cultural Landscape Report will be available on Monday October 29, 2018 at 10:00 am. 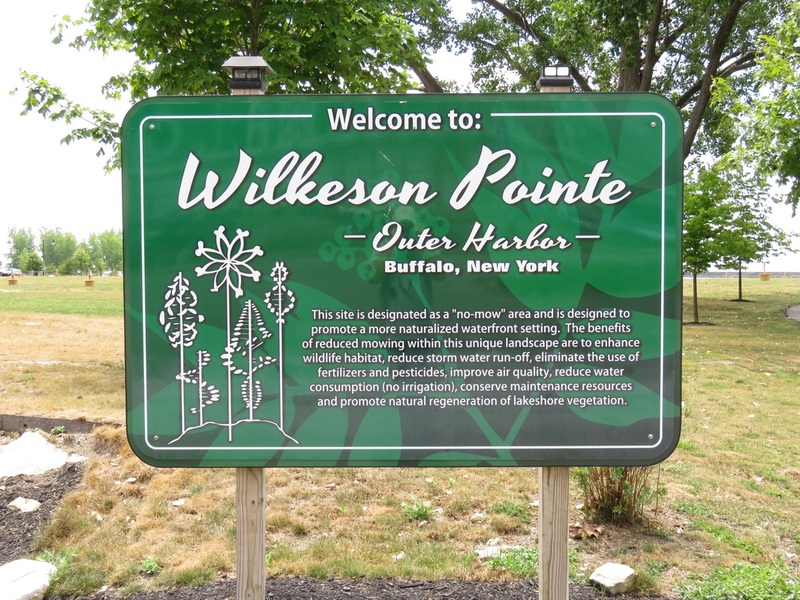 Where is Buffalo's Outer Harbor? Buffalo New York is the location of the Outer Harbor. It stretches from across the Buffalo River from Canalside to Lackawanna. 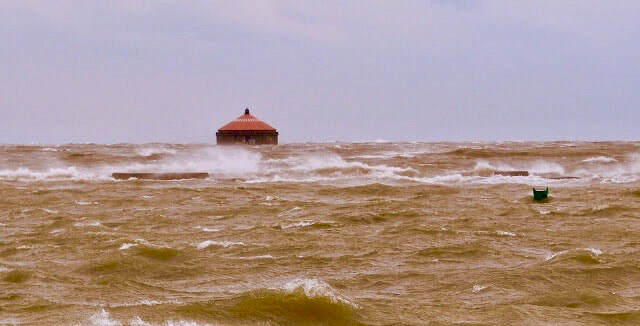 The U.S. Lake Erie shoreline extends west from Buffalo, through Cleveland, Sandusky, Toledo, and up the horn to Detroit. Shoreline distance exceeds 500 miles. 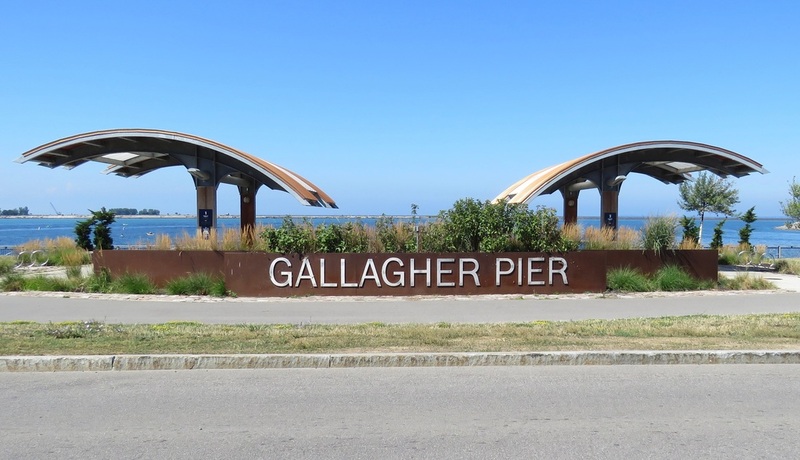 You can get to the Outer Harbor via the Skyway, Ohio Street, Tifft Street, and via Route 5 from the Southtowns. Queen City Ferry provides a bike and pedestrian Ferry from Canalside to the Outer Harbor from approximately Memorial Day through Labor Day. Click Here for More Bike Ferry Information. 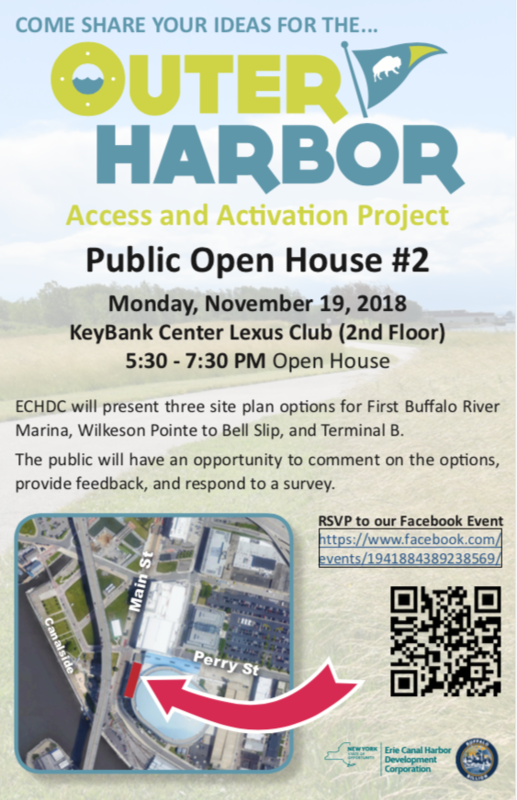 ​Release from ECHDC: On Monday, ESD/ECHDC will announce the upcoming Open House for the next phase of Outer Harbor development. Feel free to pass the word along to your members and partners. Looking forward to seeing – and hearing from – you all next week. 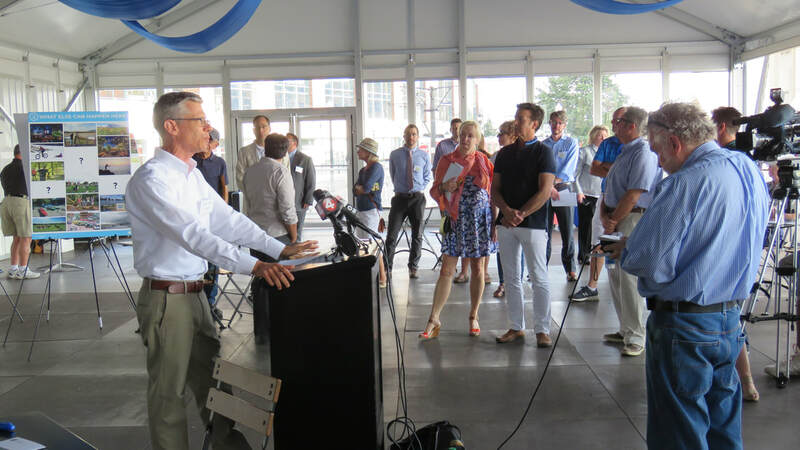 The Erie Canal Harbor Development Corporation (ECHDC) plans to hold the first of three community meetings to seek public input for three projects focusing on the improvement of access and activation of Buffalo’s Outer Harbor. The first meeting will be held on Wednesday, July 11, from 5 to 7 p.m. at the Canalside VIP Tent in Buffalo. The purpose of the meeting is to engage the public and stakeholders in program development. 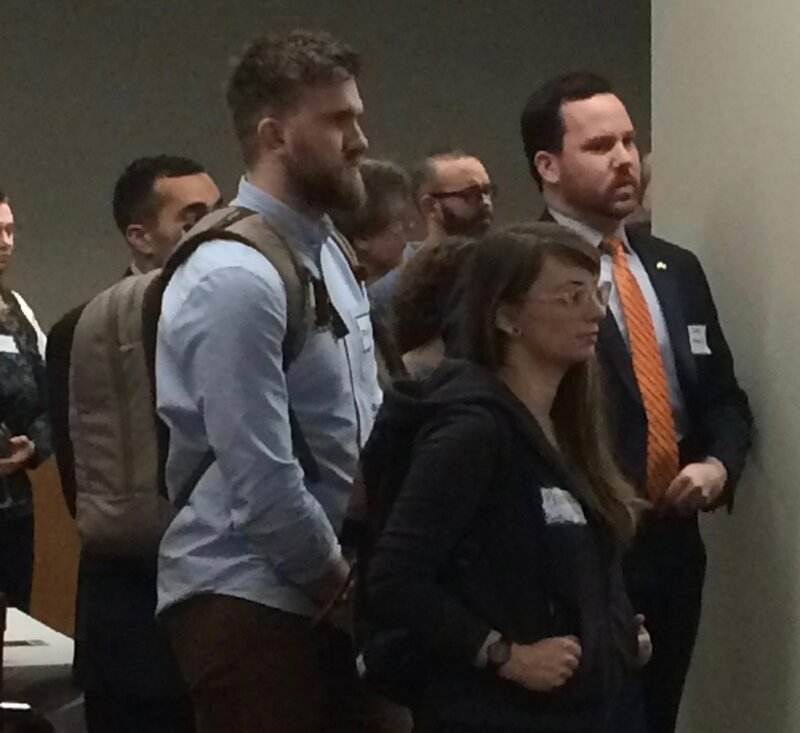 Attendees will be provided project background by the consultant team to help inform opportunities and constraints. You are encouraged to give your perspective by providing comments at one of the project stations located at the Open House, filling out a comment card and/or participating in the survey in person or online. Ground has been broken on the new Erie Canal Harbor Development Corporation (ECHDC) Southern End Project adjacent to the Bell Slip near the Thin Man sculpture. The ECHDC rendition of the site is to the left. For a larger view CLICK HERE. Stay tuned for updates. 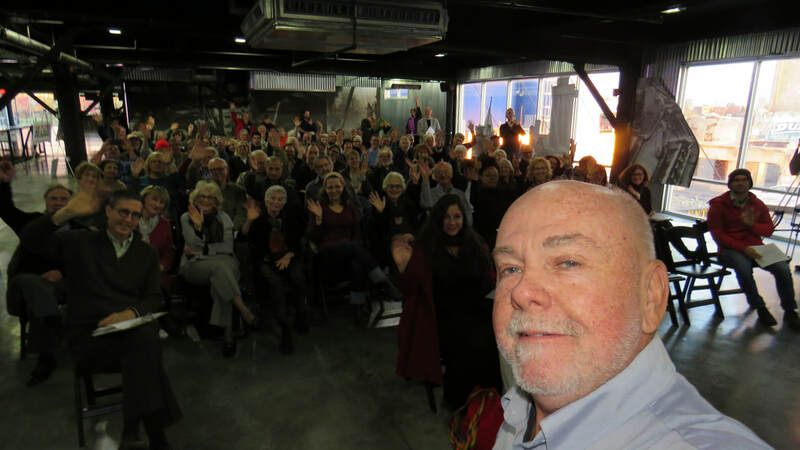 ​Jay Burney's Introduction to the Bell Slip Nature Preserve shown at the Party for the Greencode event. 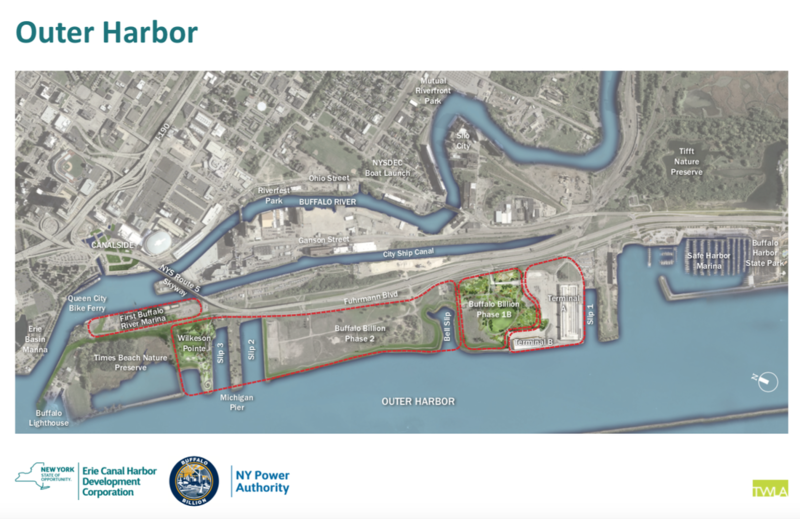 The Erie Canal Harbor Development Corporation (ECHDC) is seeking to develop the Southern End of the state owned property located between the Bell Slip and Terminals A & B. 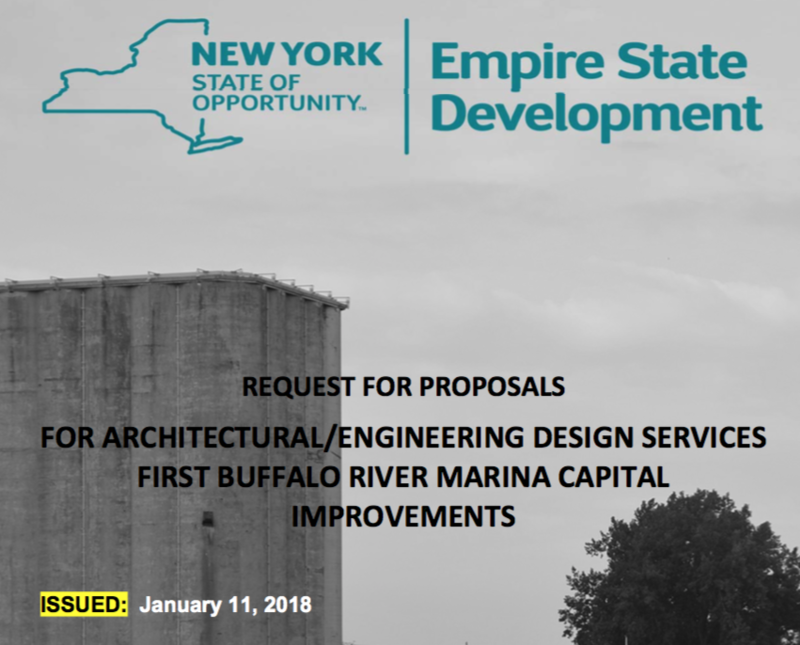 -ECHDC issues RFP for Capitol Improvements First Buffalo Marina (across Fuhrmann from Times Beach Nature Preserve. The Nature Preserve Remains in Great Shape. 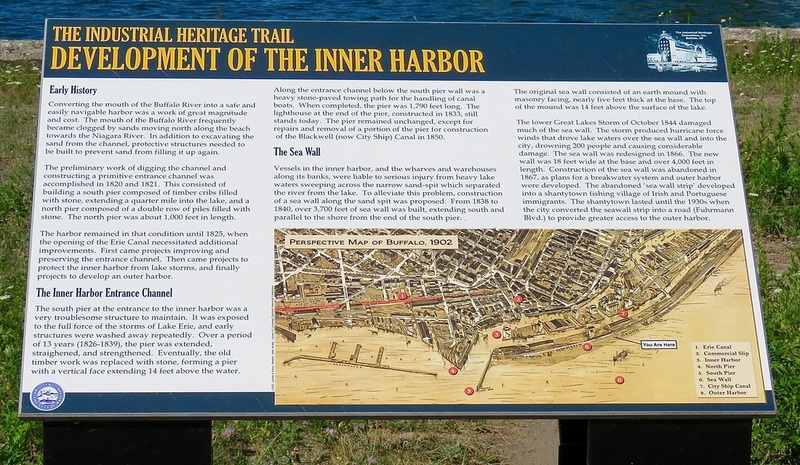 What does this sign mean on the Outer Harbor at the Bell Slip? 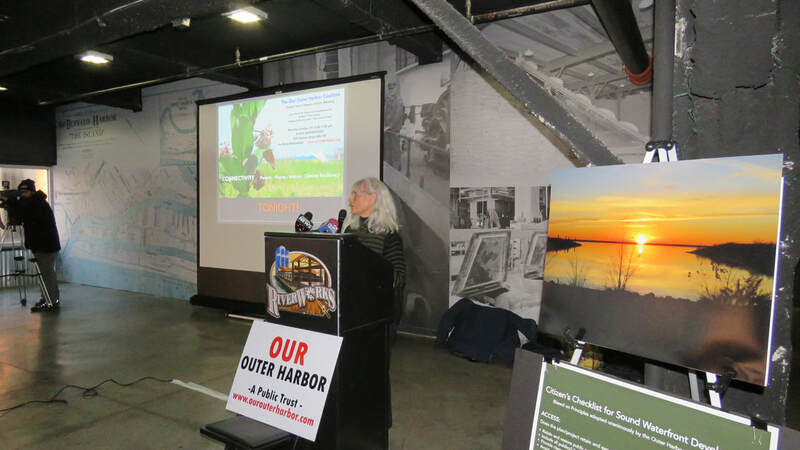 "Outer Harbor Needs climate-smart planning"
Our Outer Harbor's Comments to the Erie Canal Harbor Development Corporation (ECHDC) latest plan. 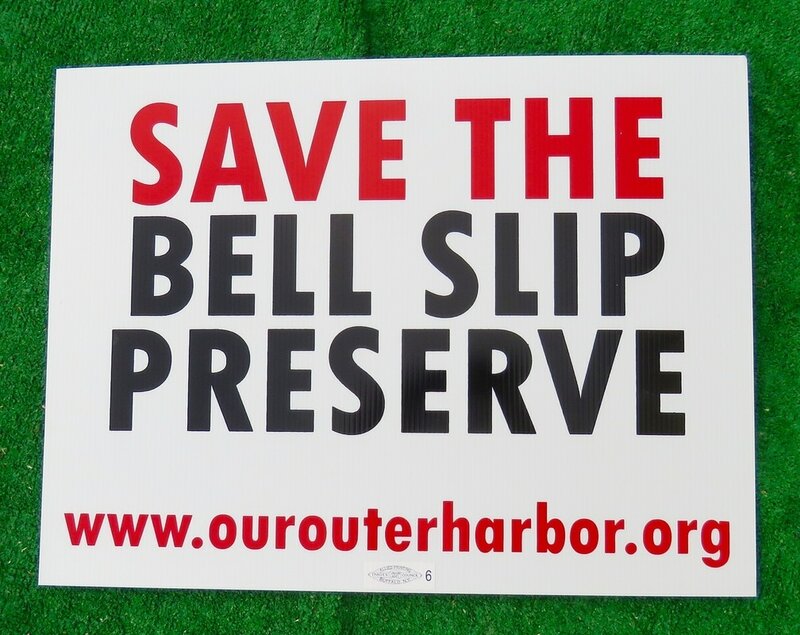 Buffalo News 9 February 2017: VIEWPOINTS: "More transparency is needed to keep Buffalo's Outer harbor healthy, green"
Buffalo News, Mark Sommer -Resignation may cripple harbor board, already plagued by absences. Images and Concepts presented by UB Students at the September 28 Public Meeting Hosted by Our Outer Harbor. -Read: Jim Carr's "A Beach for Buffalo"
Times Beach Fox II- shot over two weeks during January 2017 at Times Beach Nature Preserve. There is so much nature still left in this rare place on our City's Lake Erie edge. The Niagara River and the Outer Harbor are winter home to hundreds of thousands of waterfowl of over 30 species that have migrated south from the far north to overwinter. 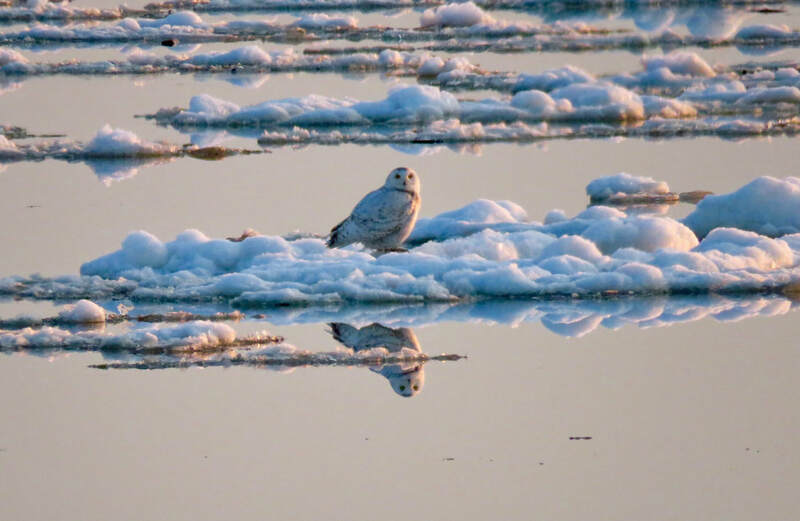 These overwintering populations is one of the reasons that the Niagara River Corridor, including the Outer Harbor, have been designated as a Globally Significant Important Bird Area by Audubon and other conservation organizations and governmental agencies. 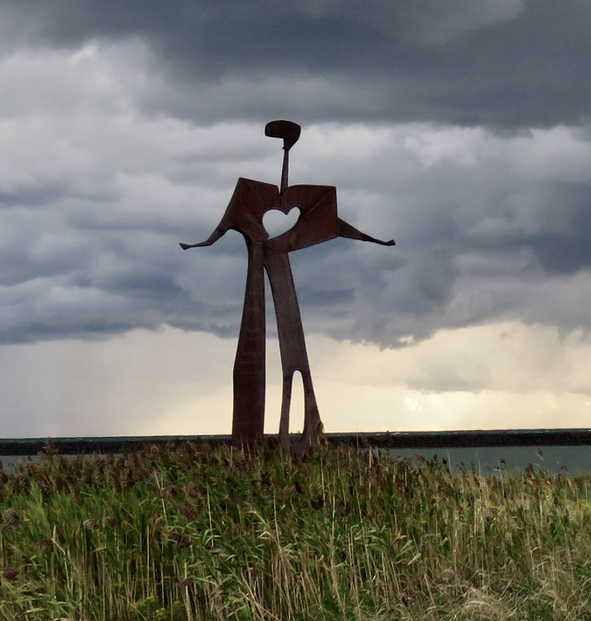 Buffalo's Outer Harbor is a public trust. Most of the land and all of the shorelines and waters that the Our Outer Harbor campaign is focused on are publicly owned. This means that the public has the ultimate responsibility to determine what, where, and how the Outer Harbor will be developed. Even the private lands and landowners have a responsibility to engage the public in development. Defending the public trust is why New York State has the State Environmental Quality Review Act (SEQRA) which requires that development be vetted through a transparent and public process. 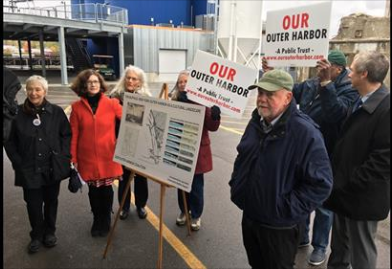 Partners in the Our Outer Harbor Campaign believe that the Public Trust context must be the overriding strategy to develop these lands, waters, and shorelines. The public, including the campaign partners, have have many ideas, strategies, and concerns about how the Outer Harbor is being developed. We have been engaged for years and decades, and know that what we do in the coming months and years will help to characterize Our Outer Harbor for generations to come. 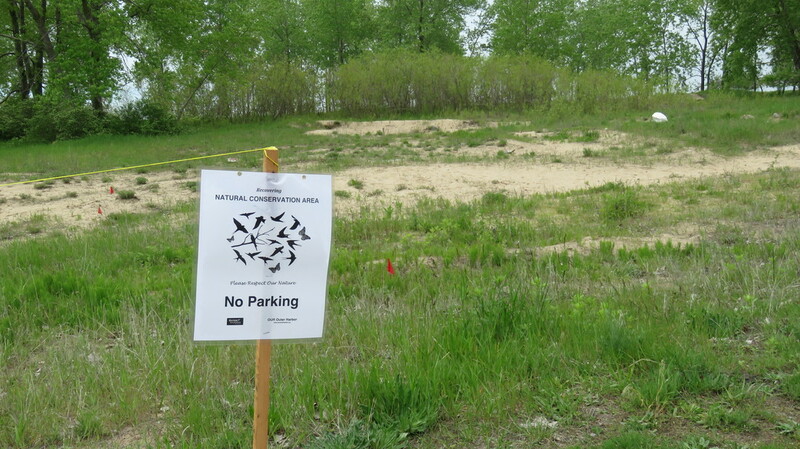 To learn more about some of these ideas including the creation of the Bell Slip Nature Preserve, CLICK HERE. Our Outer Harbor located along the shoreline of Lake Erie, is one of the most unique and most important assets of our region. It has significant recreational and ecological value. 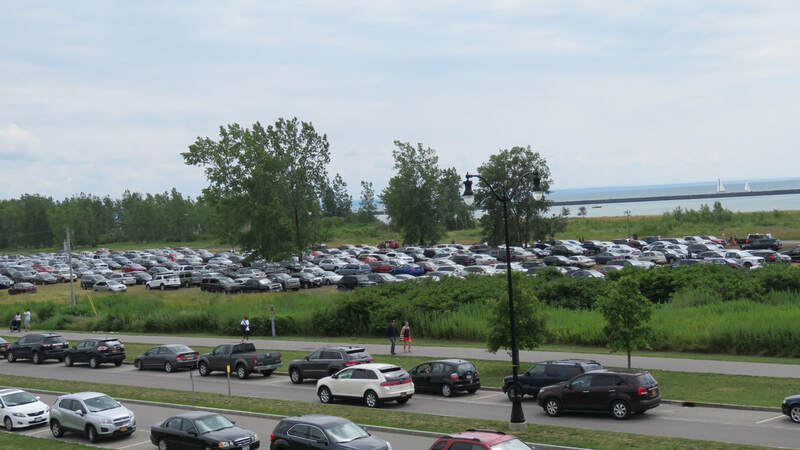 This place, our outer harbor, is truly our link between the great urban area that is the city of Buffalo and the Great Lakes which represent more than 20% of all of the surface freshwater on earth. Public investments during the past decades exceed $100 million in environmental remediation, planning, and public engagement. A vast majority of the public has demonstrated and articulated over the past three decades that they want this land and the great water wilderness that it reveals, to remain open and fully accessible to all of our citizens. Today our community is facing development decisions, many of which pivot on whether or not to privatize this area or keep it under public control. 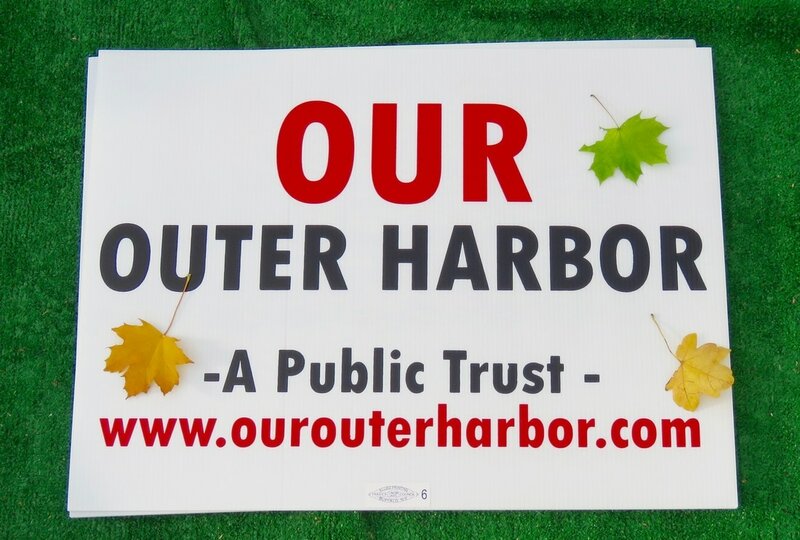 "Our Outer Harbor", a campaign representing diverse partnerships, believes that the most economically viable and sustainable strategies have to depend on keeping this unique asset in the public trust. This website is designed to inform, engage, and advocate for the long-range benefits that public access and control promises. Help rescue native pollinators in your neighborhood! Want to know some of the reasons our region is vital to nature, biodiversity? Want to learn about the potential economic impacts that this has on recreation and tourism? Take a look at "The Natural Niagara River Strait" of which Our Outer Harbor is the western gateway.